On Thursday, Amazon announced that the annual price of Amazon Prime, a service which gives members free two-day shipping on millions of eligible items, will increase from $79 to $99. The discounted fee of students will be going from $39 to $49. It's the first time Amazon has increased the annual fee on its popular membership program in its nine-year existence. In addition to free shipping on some items, Prime customers get access to Amazon's library of more than 40,000 streaming movies and television shows and to Amazon's Kindle Owner's Lending Library of books to read. Though Amazon has refused to divulge the exact number of people it's enrolled in Prime, in December it said it was in the "tens of millions," meaning that $20 price bump will give Amazon hundreds of millions of dollars in new revenue. "Even as fuel and transportation costs have increased, the price of Prime has remained the same," Amazon told The Huffington Post by email. "If you consider things like inflation and fuel costs, a Prime membership valued at $79 in 2005 would be worth more than $100 today." Amazon sent a similar statement to some Prime customers to justify the increase. 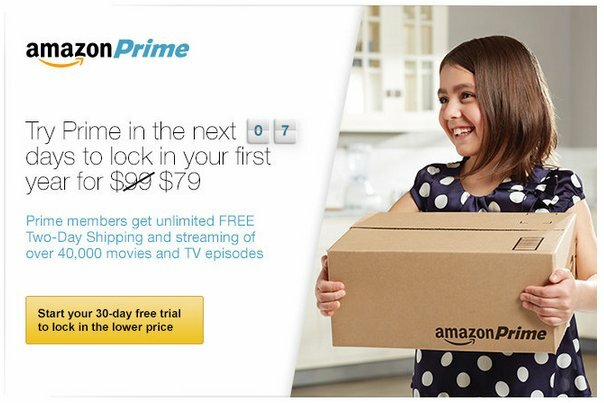 Current Amazon Prime members will pay the increased fee when they renew, starting on April 17. Any new customer who signs up starting March 20 will also pay $99. The good news, at least for those without Prime yet, is that the $79 price will be available for the next week for new customers. It shouldn't come as a big surprise that Amazon's prices are going up. Tom Szkutak, Amazon's chief financial officer, announced on a call with investors and analysts in January that the company was "considering" a price increase for Prime members.